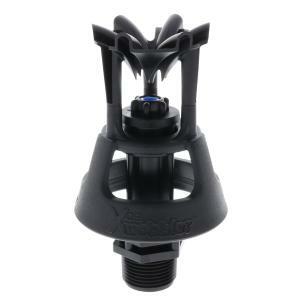 These mid and high angle solid set sprinklers use Senninger's off-center rotary-action (wobbler) technology to produce instantaneous uniform application pattern over large areas which reduces impact on soil structure. Xcel Wobblers produce a gentle, rain-like pattern for excellent wind-drift resistance and minimal evaporation also. The upright balanced design offers smooth, stable operation. 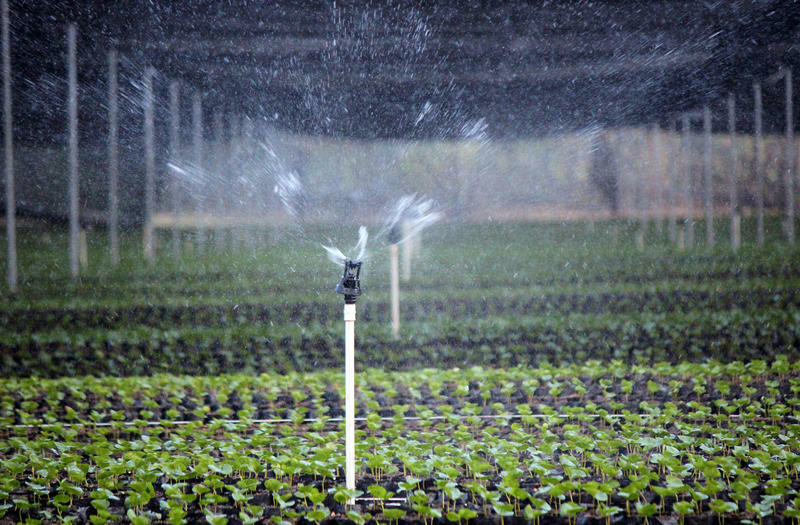 Wobblers are excellent nursery and greenhouse sprinklers. They have also been proven successful for some frost protection. Please Note: The specifications for the higher flow #18 (purple) nozzle are approximate. Diameter of throw is approximately 56'. Recommended spacing is 33' maximum.